The sovereign's official birthday is a public holiday in the United Kingdom and some Commonwealth realms. Its date varies as adopted by each country. For example, the Queen's Official Birthday in Australia is celebrated on the second Monday in June. 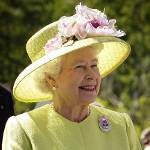 The birthday of the monarch of Great Britain was first celebrated in Australia in 1788. The holiday was declared by Governor Arthur Phillip. Originally, it coincided with the actual birthday of the incumbent monarch. After the death of King George V in 1936, it was decided to celebrate it on the second Monday in June. On this day government offices, educational institutions, and most businesses in all of Australia (except Western Australia) are closed. The holiday is marked with sporting events, firework displays, and other festive events and activities. The Queen's Birthday also marks the start of the ski season, as June is the first month of winter in the Southern Hemisphere. Australia is not the only country that celebrates Queen's Birthday on the second Monday in June. Papua New Guinea observes the holiday on the same day. It should be also noted that Western Australia is the only state in Australia that celebrates the birthday of the monarch on another day. The Governor of Western Australian proclaims the date of the holiday each year, it usually falls in late September or early October.